Bridget A. Macaskill is president and CEO of First Eagle Investment Management, a New York-based investment management company, a position she has held since 2010. She joined the company in 2009 as chief operating officer and president. 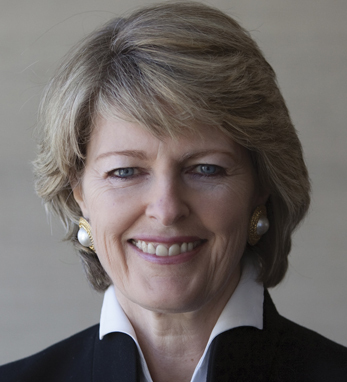 Prior to joining First Eagle, Bridget served variously as CEO, president, COO, and chairman of Oppenheimer Funds, Inc. During her tenure as CEO, she promoted gender diversity among senior leadership; by the time she left Oppenheimer, more than 40 percent of the firm’s senior management was women. Bridget is also recognized for creating the Oppenheimer Funds’ Women & Investing program, which is dedicated to educating American women about the need to take charge of their personal finances. Additionally, Bridget currently serves as a trustee and member of the investment committee of the TIAA-CREF funds. She has been active as a board member and advocate for numerous non-profit organizations. Bridget, whose mother was born in County Louth, is a native of the United Kingdom. She received her B.S. with honors from the University of Edinburgh, and completed postgraduate studies at the Edinburgh College of Commerce.